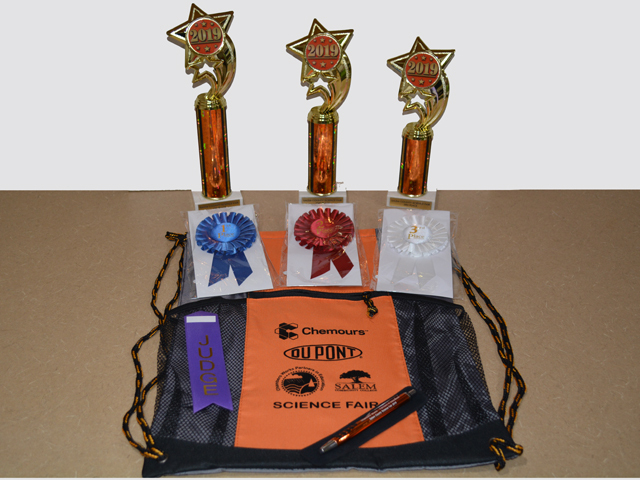 Each year, D and S Designs is pleased to be able to supply the Salem County Science Fair with all of their award needs. We congratulate them this year celebrating 30 years! D and S Designs creates their trophies and provides their ribbons. The judges each receive a stylish engraved metal pen in a velvet presentation sleeve. 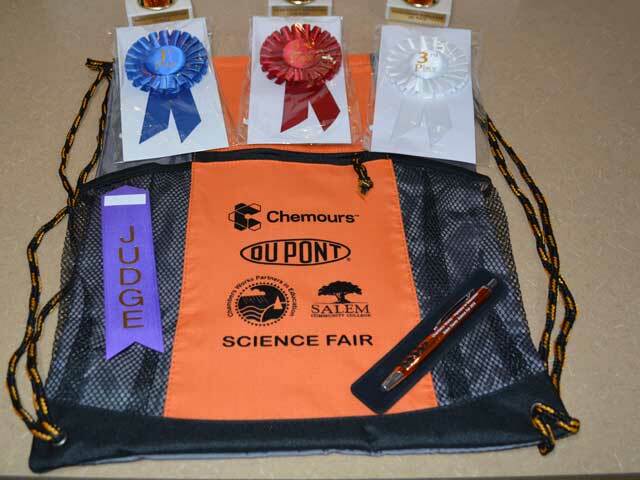 The students all go home with a drawstring backpack featuring the major sponsors of the science fair. Why use D and S Designs instead of just ordering on the internet? Because something things don’t go smoothly, having a promotional products professional makes a difference. And D and S Designs has been taking care of our clients since 1991 so we have lots of experience with fixing problems. This year the honorable mention ribbons that arrived for the science fair were the wrong ones. I quickly contacted the supplier who overnighted the correct ones. The client never knew about the problem because we had it fixed before the event. I avoided causing my client unnecessary stress by handling the issue on her behalf. She definitely did not need one more thing to worry about. Have a question about Promotional Products or Marketing? so you don’t have to worry either? Contact the D and S Designs team here. We would greatly appreciate a positive review from you!